I have been incubating this email to you for the longest time. I actually wish I had written right back to you the moment I read your letter because there was something precious in the feelings I held after reading it. I would have gushed out all sorts of sentimental words. There is a lot I want to talk with you about in person when we meet one day. Your words were something potent for me Amanda, your willingness to share was much appreciated. It was unexpected and being able to relate felt like a slave to sooth the chaffing. Thank you. Something has definitely shifted in me the past two weeks, and your letter was part of it, helping me rise. Thank you. I suddenly feel free again, like I have come back around full circle with something in my soul, and now a new circle is beginning. Well… perhaps it is that my birthday is on Wednesday and like you, this year is my 40th time around the sun. I feel excited about it, and so glad to be a women in this day and age, slightly less than middle aged. I am pretty sure I will live into my nineties. You and I will be 90 years old in 2066. How about that? 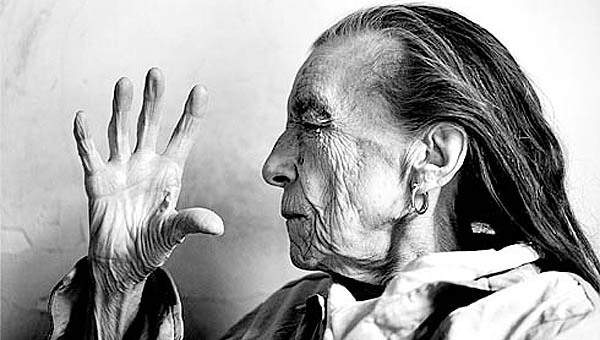 I once went to Louise Bourgeois’ house, you know Louise Bourgeois the artist? Of course you do… well I once went to her home because she held Sunday Salons in her Chelsea studio residence. Anyone could go if they telephoned and asked. I was given her number by the art critic Dominique Nahas. Salons were an Italian tradition that became popularized in France in the 17th century. It was the thing to do, to invite people into your home for weekly discussions. Philosophers, artists and writers gathered to listen and talk about current affairs. The year I met Louise she was 90. Not sure why I am thinking of that, but I suppose I like to imagine I will be like Louise was, with a strong present mind contributing to society. One must have matriarchal idols. I took her a box of boutique chocolates and she ate the whole box! We will be in Maine again this year. Our plans are up in the air, but we are going to put our house on the market as soon as the work is completed and then we will be heading north for 3-6 months. Maybe we will meet at the Common Ground Country Fair, although I would prefer if you and I had an intimate rendezvous – I might feel awkward with others standing around. I will not know anything for certain until the house sells. It has rained for a week and so it is all moving slowly, but we hope that by the end of June all of the work will be finalized and the house will be listed. Yes please, I would love to contribute to SHARE – even though life is going to be full of change, I feel a strong connection to SHARE. I have time to think of a project. When I told Elle you had written with an invitation to contribute she said. “Yay!” and then she started telling me her ideas. “I have been doing a lot of finger knitting, maybe something with finger knitting?” she said with exuberance. It was very sweet. I have a mini Taproot contributor on my hands. Well, I suppose, it is time to sign off. I do know you are an emailing machine and I am grateful to hear my emails are enjoyable to read when time allows, and know for certain that I understand all that you do. I consider myself privileged to receive a personal note from you. You do a great job of transmitting your energy to the collective in place of all the personal emails I am sure you wish you could write. I admire how you manage to put your family first. This entry was posted in G E N E R A L and tagged Dear Amanda, mother's day.